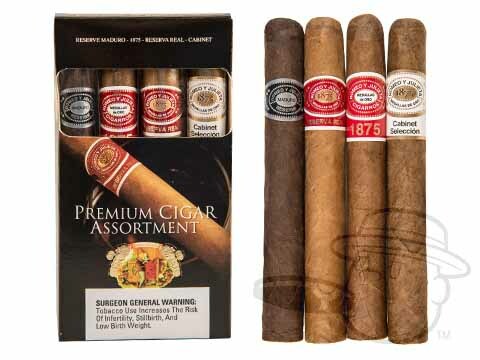 The Romeo Y Julieta Premium Cigar Assortment is tagged with free shipping. If you order this product, your entire order will receive FREE BCP Ship Saver shipping! The Romeo y Julieta Premium Corona Assortment features four of the smooth Dominican blends that have made Romeo y Julieta one of the most well-known names in cigars today. All four cigars in the sampler were very good. The variety from mild to not too strong was refreshing. What a great add on !!!! Romeo Y Julieta Premium Cigar Assortment is rated 5 out of 5 based on 5 customer ratings.